The application will comprise color codes which will be assigned to messages. Green color will indicate legitimate content; yellow will be displayed when the system is unable to decode the message; while red will indicate that the message is definitely a hoax. With rising incidents of fake news being spread through the popular messaging platform, WhatsApp, a team of Indian students and a professor have now decided to take matters into their own hands. The team, headed by Ponnurangam Kumaraguru, associate professor of computer science at the Indraprastha Institute of Information Technology (IIIT-D), Delhi, is developing an app to verify the genuineness of messages circulated on WhatsApp. The Indraprastha Institute is a research-oriented university focusing on computer science and allied areas like mathematics, electronics, design, social science, and bioscience. Kumaraguru told PTI, "We are collecting a large amount of data and have asked people to forward us messages on the number 9354325700. These messages will be analysed, and accordingly, we will develop a model for putting a wrapper on such messages." "Through the messages received, we will study the common factors in such messages. The commonality might be an image, a URL or some words. If it is a forwarded message, it is a high probability that it is a fake message," the professor added. Recently, Mohammad Azam, an IT Engineer, was beaten to death by a mob of around 200 people in Bidar district of Karnataka on suspicion of being a child abductor. Earlier, five men were lynched at Dhule in the western state of Maharashtra, following similar rumors spread on WhatsApp. Taking stock of the situation, the Government of India had issued a stern warning to WhatsApp to curtail the unfortunate situation and indicated that the messaging platform cannot evade responsibility. 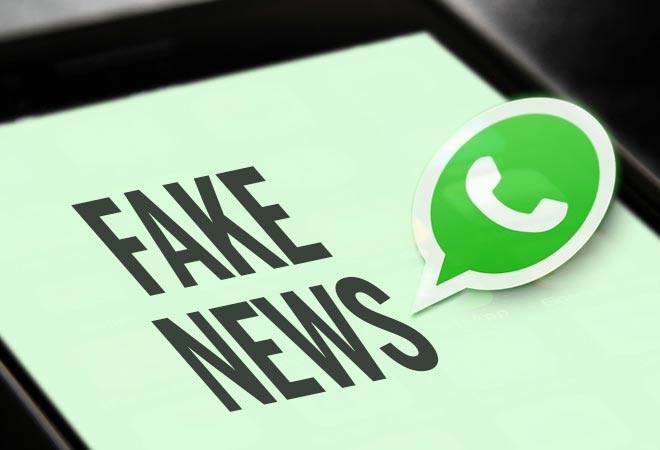 As a consequence, WhatsApp said that it does not take such incidents lightly and had started labeling forwarded messages to indicate whether they are legitimate or fake. It also limited message forwarding to a maximum of five people at once. Now the government has issued another notice to WhatsApp asking it to come out with effective solutions beyond just labeling forwards. It also warned the company that mediums used for propagation or rumors will be treated as abettors and may face legal consequence if they remain mute spectators. As future measures, WhatsApp is also testing a new 'suspicious links' feature on its Android Beta platform. The feature essentially marks a link red if it the app finds it suspicious. If the user still goes on to click on the link, a pop-up will try to warn them and confirm their action.